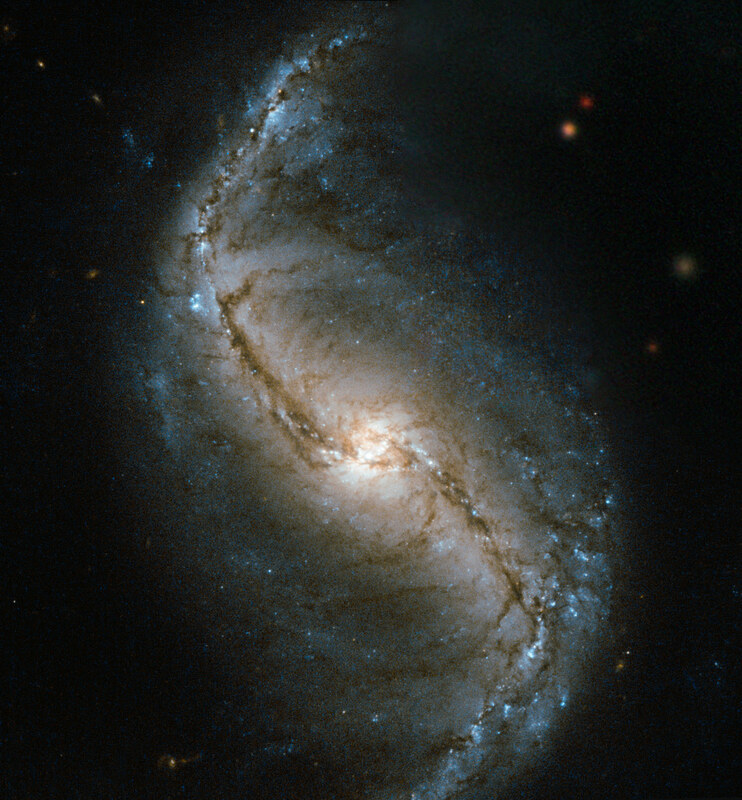 This newly released Hubble image shows barred spiral galaxy NGC 986, which is located about 56 million light-years away. This new Hubble image is a snapshot of NGC 986 — a barred spiral galaxy discovered in 1828 by James Dunlop. This close-up view of the galaxy was captured by Hubble’s Wide Field and Planetary Camera 2 (WFPC2). NGC 986 is found in the constellation of Fornax (The Furnace), located in the southern sky. NGC 986 is a bright, 11th-magnitude galaxy sitting around 56 million light-years away, and its golden center and barred swirling arms are clearly visible in this image. Be the first to comment on "A Spiral in a Furnace – Barred Spiral Galaxy NGC 986"